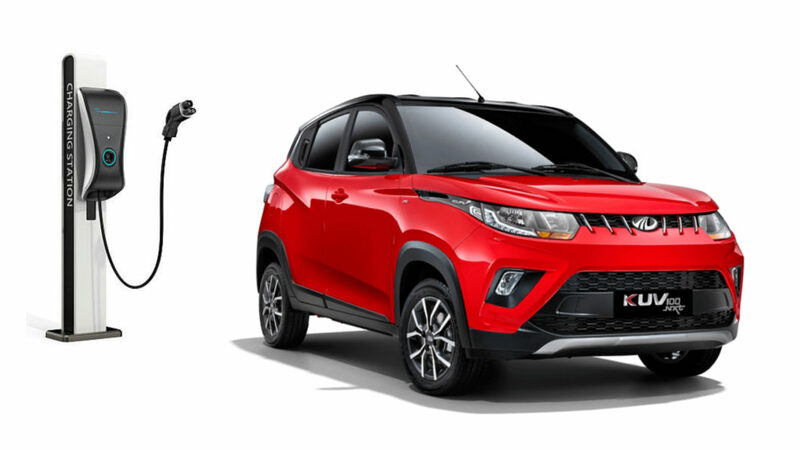 Mahindra officially revealed KUV100 EV at the 2018 Auto Expo and they are planning to introduce the production version by the middle of 2019 in India. The SUV maker is investing huge money for developing EV models as they are also working on a new battery technology, which will improve range and performance compared to the current battery. The company already sell eVertio in India and the KUV100 EV might carry the same 72-volt LFP (Lithium Iron Phosphate) powertrain and it produces 40.2 bhp. The concept model showcased at the Auto Expo also comes with this same battery pack and the top speed of KUV100 EV is expected to be around 100 kph. 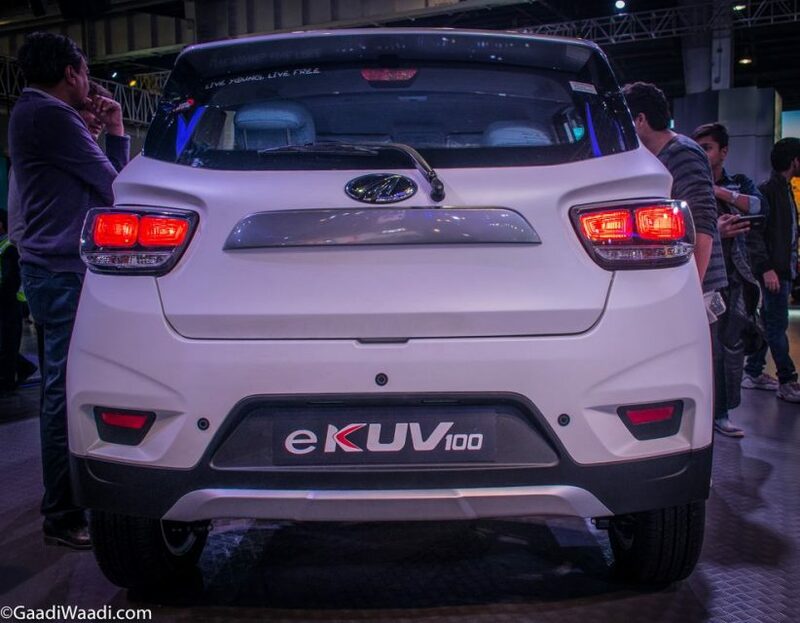 According to some reports, the KUV100 EV is expected to give 120-140 km range, which is par among with current EV models in the Indian market even though when we compare it with global models it is low and the company has the resources to put a bigger battery pack but it will increase price considerably. Mahindra is expected to offer fast charging and it will top up the battery from 0-80 per cent in less than an hour. The KUV100 EV will carry forward the same design theme as the regular ICE powered model but the company will make subtle changes as the front grille won’t have an opening and a redesigned bumper also. We can expect some new blue accents on the exterior of KUV100 EV and it will come with a new set of alloy wheels. The rear might get LED tail lamps along with a new bumper. The interior is expected to be carried over from the current model but the instrument cluster might get some changes. The KUV100 EV will come with all the features from the current model like touchscreen infotainment system, Bluetooth connectivity, reverse camera with parking sensors and more. The company might also offer a mobile application, which will give options like live range, parking location and more.